The Anonymous Type is compiled into an Int32 Array and the first index of that array is the integer value 34. 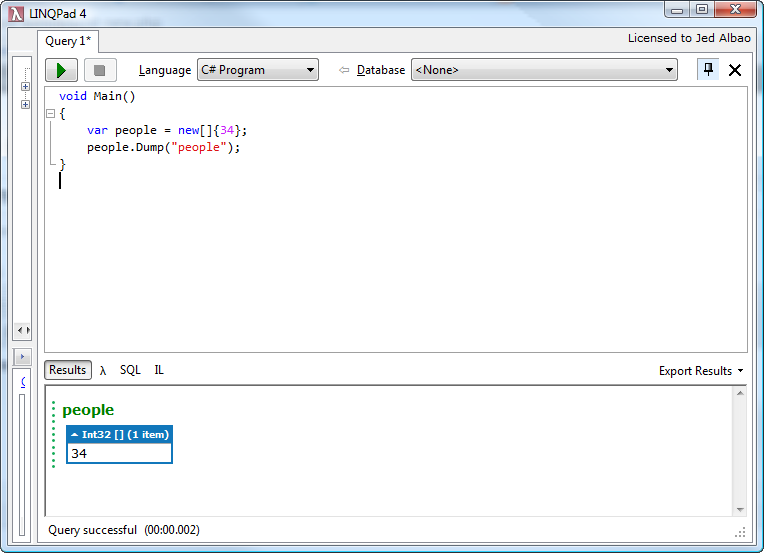 Now if we were to add another integer value to our anonymous array, Intellisense will present us with this..
Now let’s create another Anonymous Array, but this time we will add a Person type to the initializer. 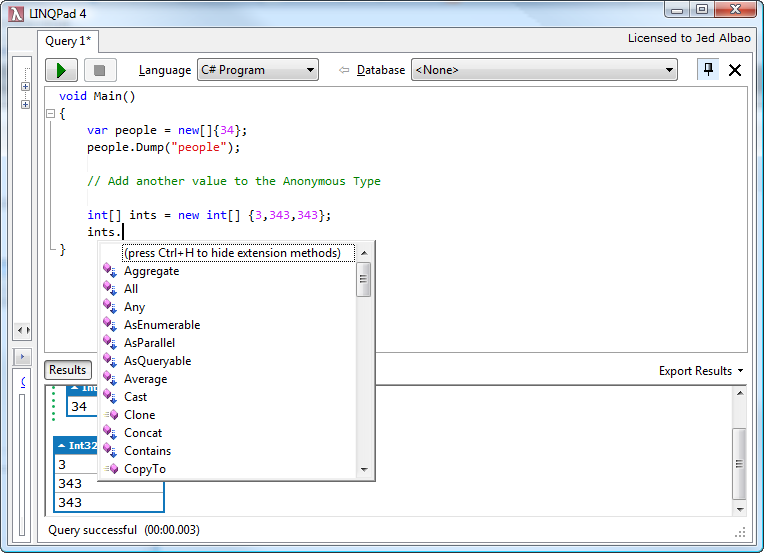 Notice the .Dump of the Anonymous Type is now an array of Person. 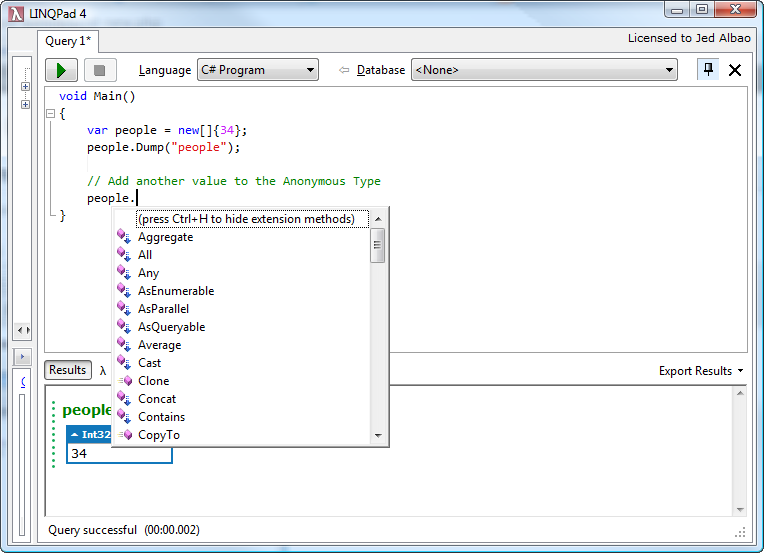 In other words, the Anonymous Type is now Person type! How does it do that? 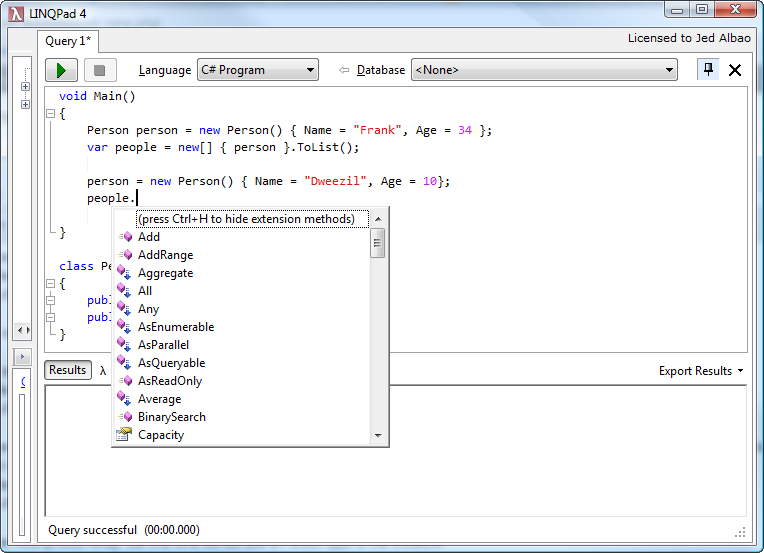 Notice the Intellisense gives us options that correspond to the Intellisense for List types. Anonymous types provide a convenient way to encapsulate a set of read-only properties into a single object without having to explicitly define a type first. 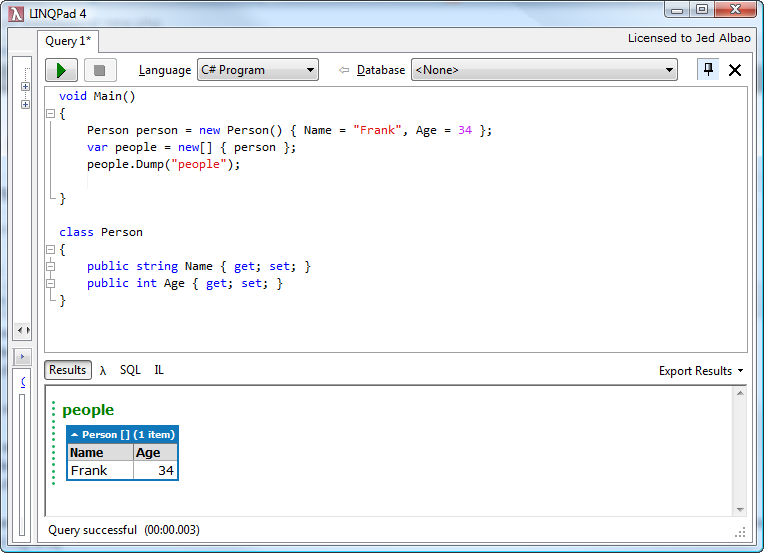 Notice how line 5 looks like an Object Initializer without the specification of an existing type. Line 5 simply creates a new “something” – there is no specification of a type. Hence the term, Anonymous Type!